As one gets older, one begins to think introspectively to gain a proper perspective of their life. Our experiences, our achievements, our impact on others; all these things serve to remind us that we all have a purpose. Realizing that where we’ve been doesn’t have to dictate where we’re going is important, but it is equally important to be grateful for the environment you came from and the circumstances you came from. For Fabian “Candyman” Villarreal, growing up in the rough neighborhood of Oak Cliff in 1980s Dallas was a daily challenge. “To keep me off the streets, my parents kept me busy,” remembers Fabian. “My mother, Irma, saw my artistic potential and urged me to express my talent through artwork; which led me to winning numerous art competitions while in school.” As for his father, Reynaldo, he took a different approach, with the young boy. That approach falling under the “if you want to go play with your friends, first you have to sand that car” school of thought. At age 12, the young apprentice began to work at his father’s body shop on West Davis St. “I was a body man, long before I was a painter,” recalls Villarreal. Although the trade helped to put Fabian through school, more significantly, his father’s work ethic taught him that making a living meant to give the best possible presentation by finishing the job to the best of his ability – a philosophy that continues today for Candyman. 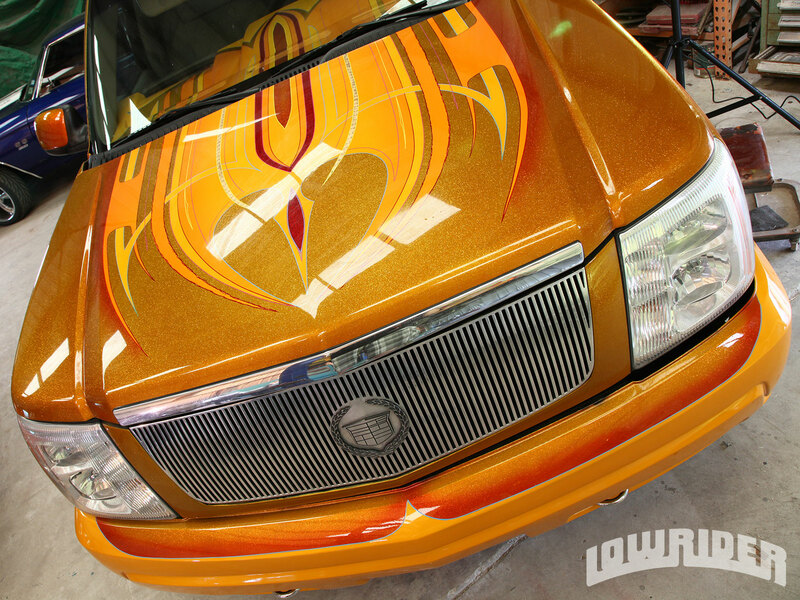 Most of our LRM readers and features can attest that our parents tried their best to keep us off the streets, and like the majority of us, Fabian discovered the same culture we did; the Lowrider scene. This future club leader soon joined Los Bajitos de Grand Prairie. 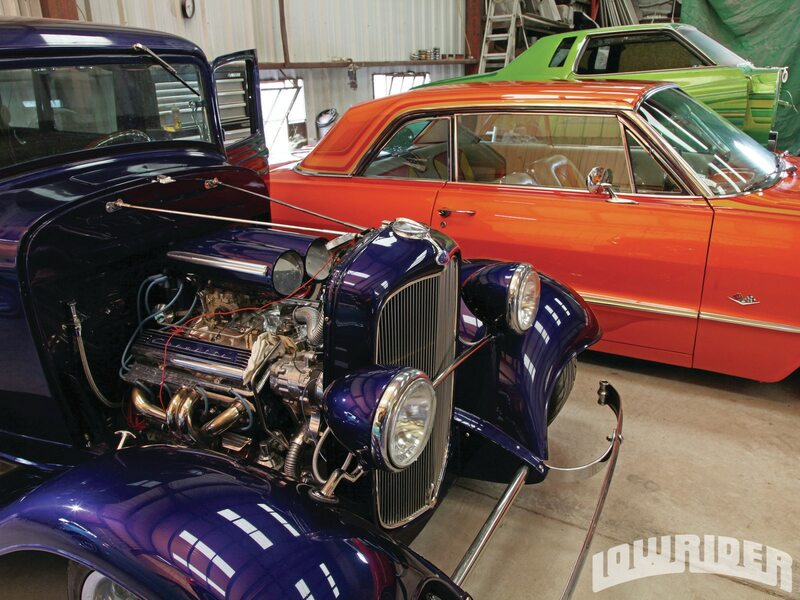 This car club, led by Beto Salazar, was among the Lone Star State’s elite clubs in the 1980s. “Beto is a Lowrider legend, who taught me the ins-and-outs of running a club and promoting car shows; lessons that I continue to use nearly thirty years later,” explains Fabian. While he kept abreast of the latest happenings on the Boulevard, Fabian also kept his nose in the books and after receiving his degree, Fabian said goodbye to the body shop and started a new career. With a high paying job and a good lifestyle in D-town, there was no stopping this up and comer; or so he thought. After a few altercations with “Dallas’ Finest” that resulted in a life changing experience, Fabian quickly reevaluated his road to success. By this time, his parents had moved to Corpus Christi, and soon Fabian would be knocking on their door. He quickly realized that what kept him out of trouble in years past was the outlet of refinishing cars. 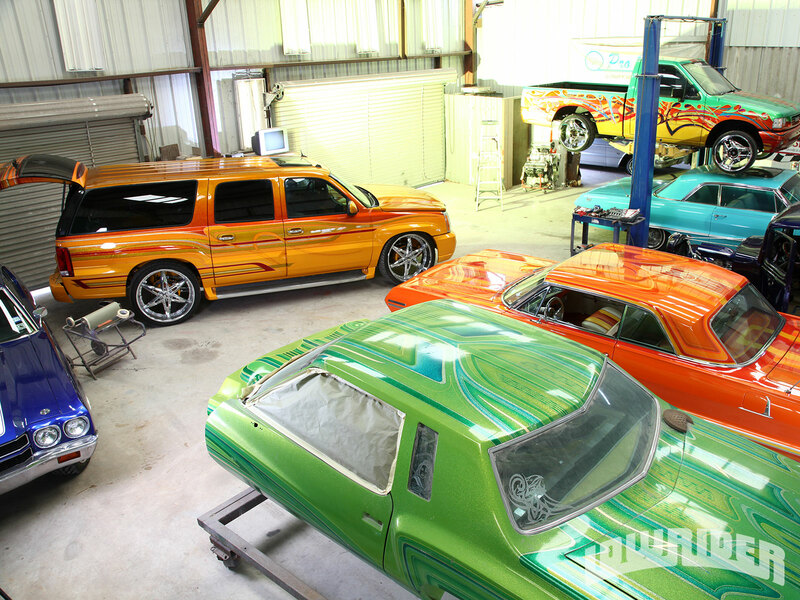 “I worked as a painter at a local dealership for 10 years during the day, and at night, I learned how to spray candy paints,” says the Candyman. Tommy Hail, a local custom painter, mentored this future customizer in custom painting, and the teachings served the impressionable painter well as Fabian ran with the knowledge and hasn’t stopped since! 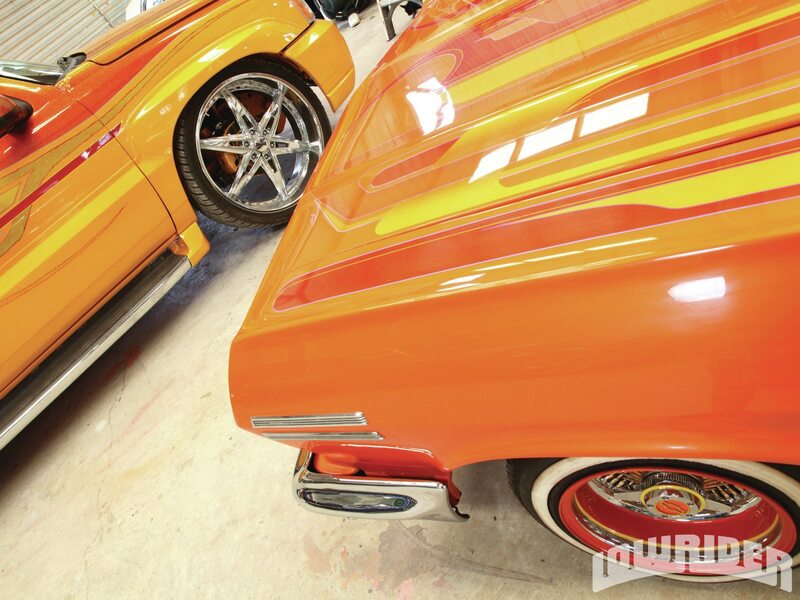 In 1996, Kandy Kustoms opened as an insurance-based body shop, but in recent years, it has reached nearly a 90% customizing clientele. Even with the shop’s good reputation, Fabian’s confidence in his work was shaky, a stance that would soon would change. 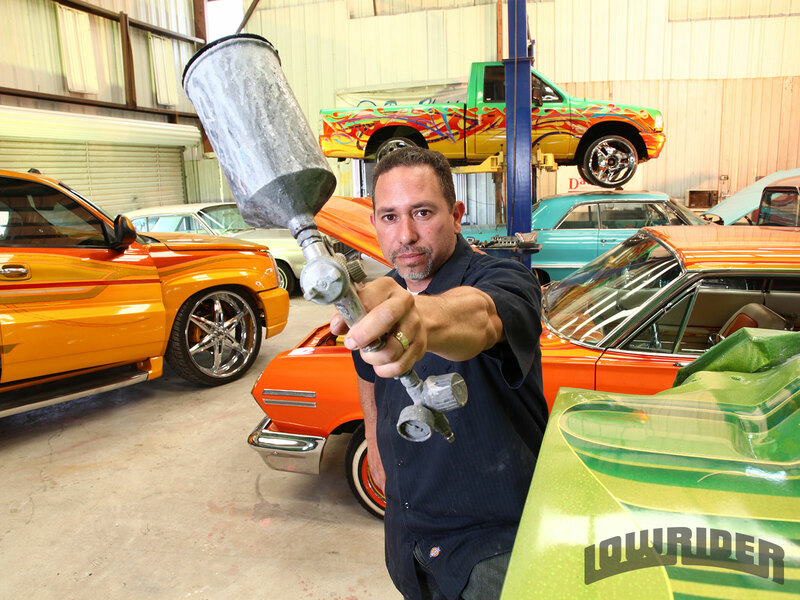 In 1998, this Gulf Coast painter had the opportunity to revamp Chito Sanchez’ 1964 Impala for the LRM Lowrider of the Year title. That year, at the Las Vegas Super show, “Chito’s ‘64” took home a respectable 2nd Place in the Best of Show Category. “At that point, I finally felt that I had what it takes to compete with the best,” says a humble Fabian. Since then, the LRM Super Shows have displayed a variety of Candyman’s work, including top finishers “Outkast,” “One Bad Maxx,” “Aztlan,” two-time Bike of the Year, “Prophecy,” and two-time Truck of the Year, “Prophecy.” Along with over 30 cars featured in the pages of LRM in the past 15 years, this Texas painter continues to push his imagination and talents to the next level and the next metal canvas. With his great admiration for Mario Gomez, Sal Manzano, and Danny D., Candyman hopes to one day have his work admired in the same conversation as these greats, or used as the inspiration within other painters’ concepts. 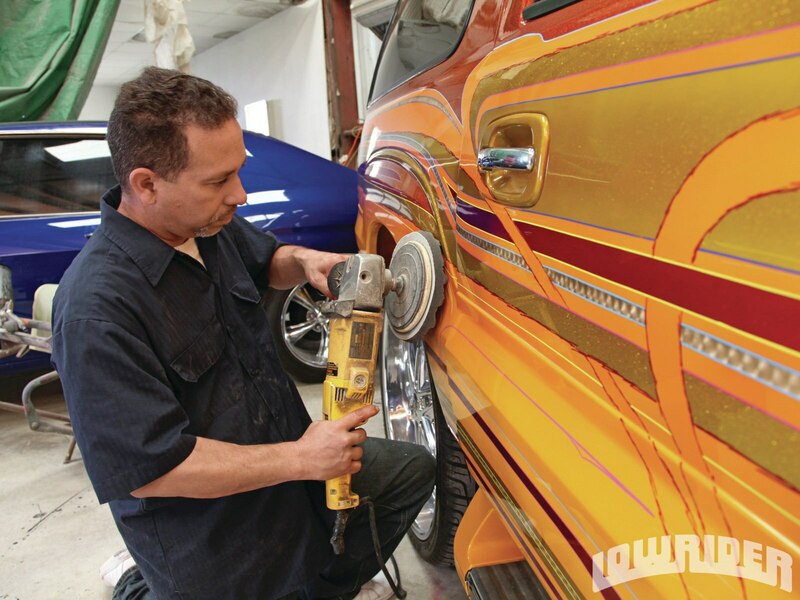 Along with endless hours in the shop creating intricate paint schemes, Fabian also makes sure to balance time for his family, God, and his car club. 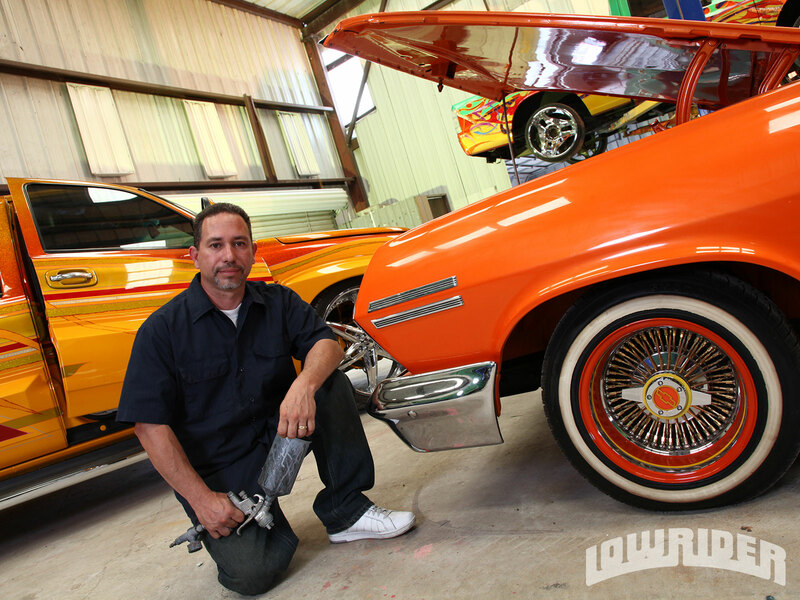 As a member for over 17 years, he has witnessed Rollerz Only grow from 10 chapters when he joined, to over 50 chapters worldwide, evolving into one of the best club’s in Lowrider history. In recent years, the club leadership, to include Fabian, has focused on its perspective of God, Family, and Rollerz Only. 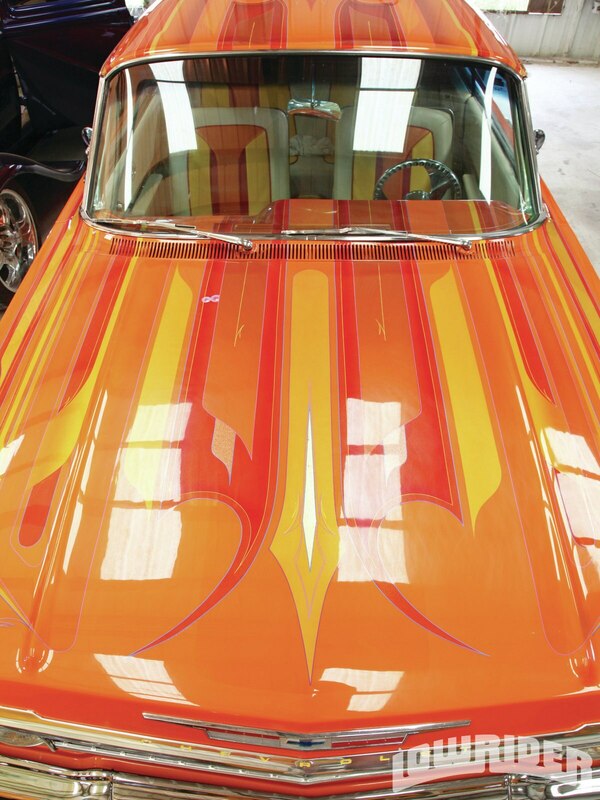 Along with the support of his children, his wife Marlene, and his strong Christian beliefs, Fabian knows that his calling continues not just in the church pews, but also within the Lowrider world that helped shape him into the strong man he is today. Paz, Tejas.